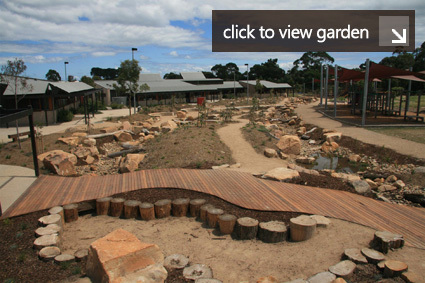 St Macartan's Catholic Primary School in Mornington commissioned RB Landscapes to devise a Landscape Masterplan for their future Landscape developments – The design forms have been inspired by Kulin Nations Boonwurrung heritage creating vital ties with Mornington Peninsula's Cultural Heritage ensuring that Indigenous Heritage maintains a strong connection with the growing school community into the future. 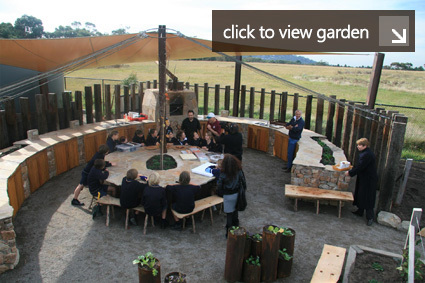 The Master Plan includes plans for an Alfresco Kitchen Classroom, Outdoor Chapel, Educational Wetland Habitats, several passive play courtyards, Interactive Environmental Landscape Feature Areas and an extensive design for the future outdoor active Playscape. Please click on either picture above to view more details on the first two stages of St Macartan's Primary School Mornington.